ODK is well known for its range of fruit purees which are no t just fantastic products to taste but are also packaged in a format that is truly appreciated among top level bartenders across the world. Fruit Mixes, Creamy, Sour, Hot Chocolate and Frappés. Made in Italy, now esclusively availabe from FoodSelect for the Netherlands and Belgium. Don’t feel creative ? Check our cocktail recipes here and extend your summer feeling with our Rosella Flowers ! Also without alcohol. 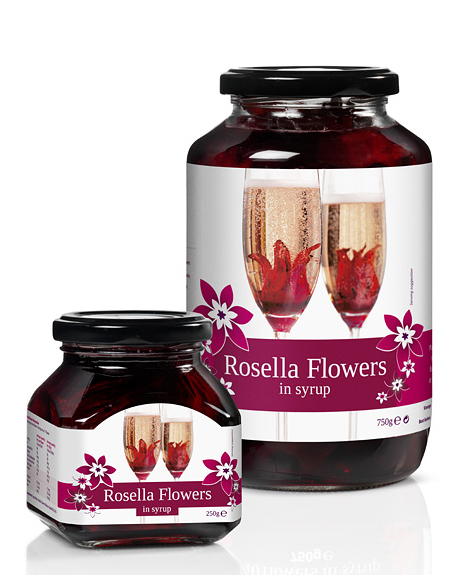 We are pleased to announce our new label for Rosella Flowers ! Please check our Rosella Flowers page to see our labels for the 250g and 750g. Our 250g pack will ship in a 12-unit counter-display, ready-to-use !